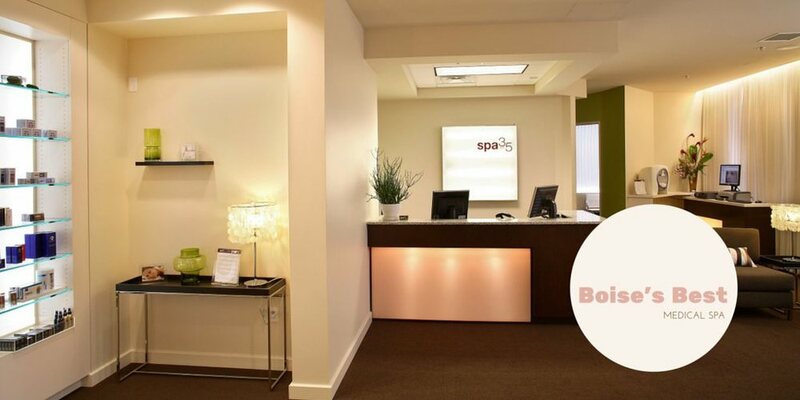 Boise's Best Cosmetic And Wellness Medical Center. Providing The Services You Need For A Long, Healthy, Beautiful Life. Offering a wide range of cosmetic and wellness services including; medical, dental, chiropractic, cosmetic and aesthetic services. Easy to access and just off the connector in downtown Boise. The center has on-site parking with proximity to the Idaho capital building, BoDo, St. Luke's and St. Alphonsus. Watch the construction of Jack's New Urban Meeting Place, The JUMP Center across the street. Dr. Corey Matthews and Dr. Timothy Klena focus on overall wellness in their chiropractic approach. Their services include: chiropractic care, acupuncture, corrective exercises, lifestyle advice, nutritional counseling and physiotheraphy. Dr. Bailey, a cosmetic and oral/maxillofacial surgeon, performs a large number of procedures including SmartLipo, traditional liposuction, Ultherapy, facelifts, necklifts, rhinoplasties, eyelid lifts (blepharoplasty), and Botox and Juvederm injections, as well as maxillofacial and oral procedures such as extraction of wisdom teeth and dental implants. Morrell Dental offers a wide range of cosmetic, preventative and treatment focused dental services. Their services include teeth whitening with Zoom and Fluorescent EXpress White. Other procedures include implants, veneers, laser gum pigment removal, crowns. Dr. Brett Comstock. Oral and maxillofacial surgery procedures and treatments such as: dental implants, bone grafting, wisdom teeth removal, TMJ disorder, facial trauma, orthognathic surgery, oral pathology, sleep apnea, cleft lip correction, endodontic surgery and more. Offering overnight sleep studies that monitor: ECG, EKG, eye movement, leg movement, respiratory movement, oxygen saturation, air flow, body position and snoring. Idaho Sleep Specialists also conduct CPAP and BIPAP titration studies, overnight oximetry and sleep consultations. Dr. Sharon Oster provides general primary care services to adolescents, adults and seniors. This includes general health maintenance, acute disease and general disease management. She also practices the specialty of infectious diseases.